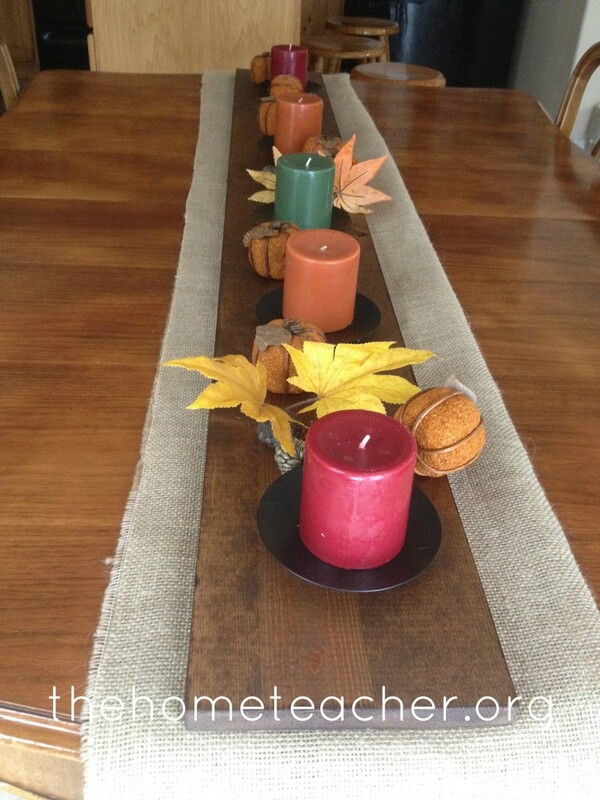 This was a fun family project that- while it isn’t necessarily teacher related- I just had to share! My husband ran to Lowes, found a board (I told him to get the most distressed looking one he could find!) and had it cut to the length of our dining table. He also found a beautiful mahogany stain that we used on the board. 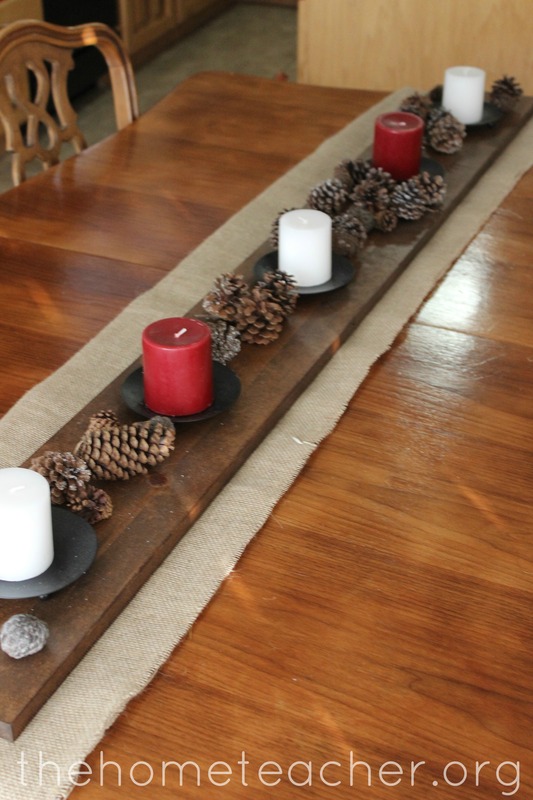 I saw various sites online that showed how to distress a board with nails and other tools- I wasn’t brave enough to try their methods in fear of splitting the board or something else disastrous. 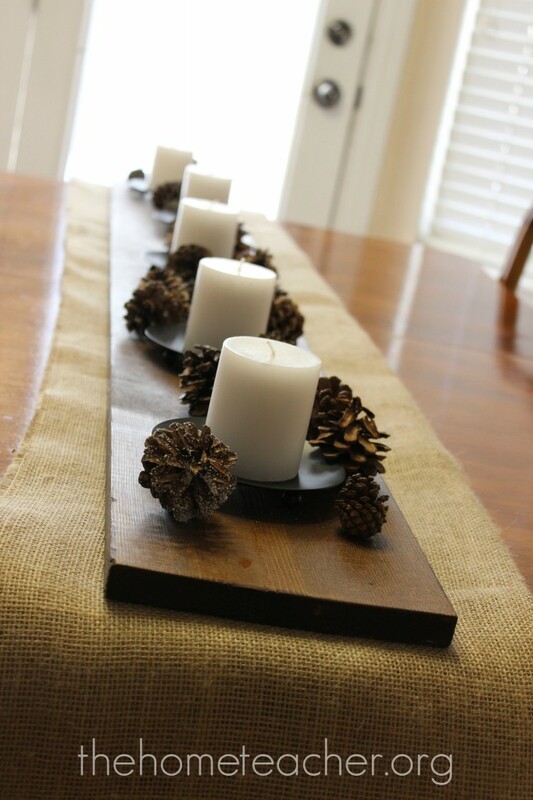 We found burlap at Hobby Lobby, candles at various stores (including the Dollar Tree! 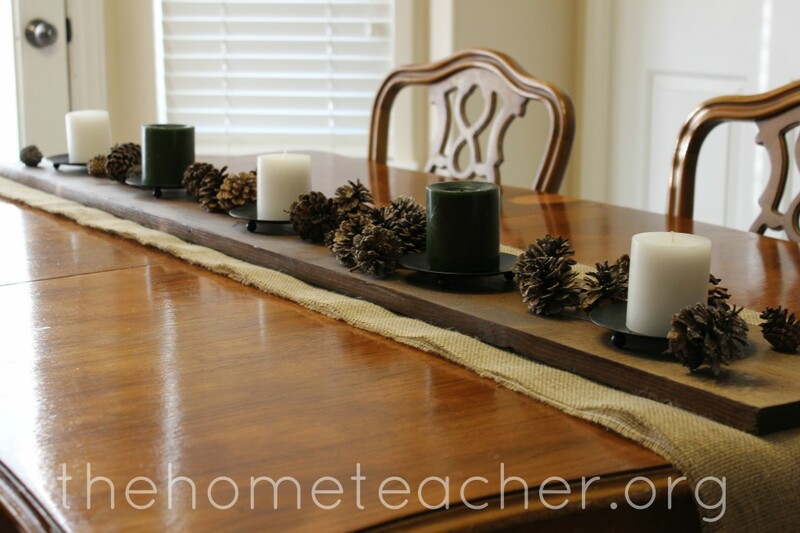 ), pinecones and various items from decorations we already owned, and put it all together. I love the way it looks! I took the idea and decided that this was something that I could modify for all seasons. Here is what we came up! 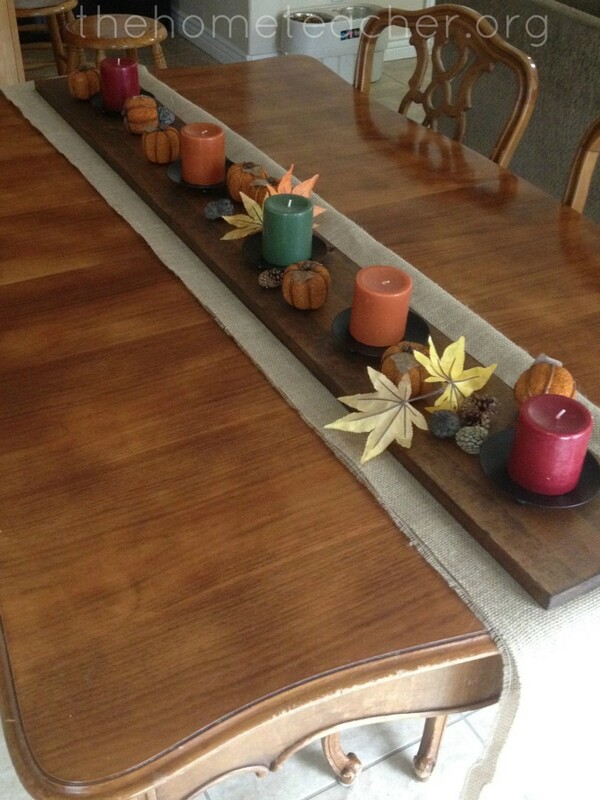 Fall/Thanksgiving (October and November): Imagine how cool it would look with black and orange candles for Halloween! You might be wondering what are my plans for Spring and Summer- at this point I have no clue but I will share them with you when I think of something! 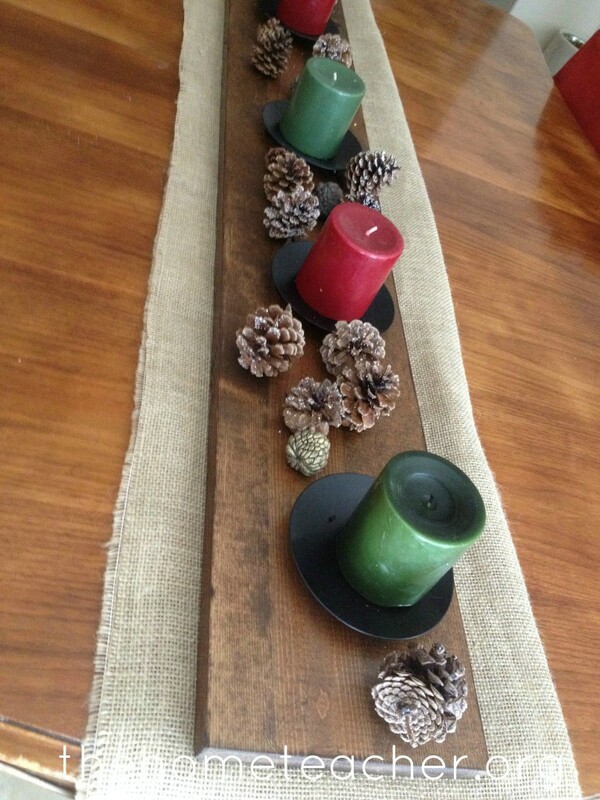 This entry was posted in celebrations, DIY, dollar store, me and tagged decor, fall, winter on March 13, 2014 by ktoponce.